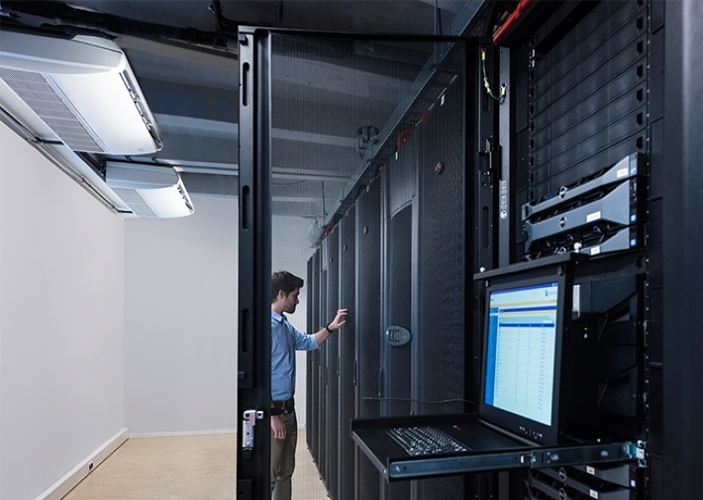 At KellyRAC, we offer reliable and energy efficient technical cooling solutions that meet the demands of both large and small telecom shelters, servers rooms and laboratories. 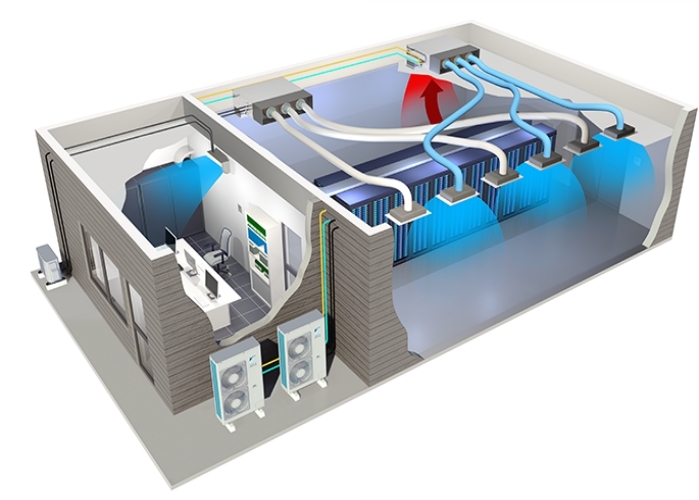 Cooling a data centre requires much higher levels of energy consumption than cooling any other type of space. Infrastructure cooling solutions are engineered to provide year-round efficiency and decrease your annual running costs. Learn more about infrastructure and data centre cooling solutions and get a quote. Technical cooling isn't a 9 to 5 job. 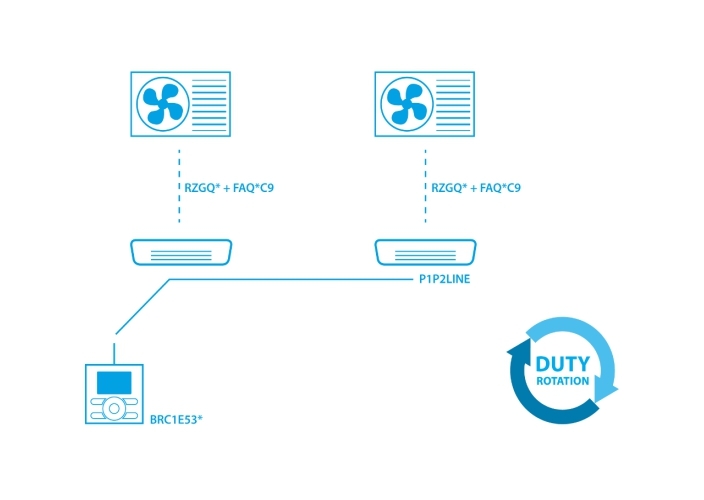 Data centres and server rooms need 24/7 climate control in all conditions. Our systems our designed to maximise uptime in a wide range of conditions, from temperatures as low as - 15°C to as high as 50°C. In the unlikely event of an operating failure, the standby back-up unit is there to take over. The take over is automatic and the emergency repair alert is sent out immediately. You will never need to worry about a system shut down. 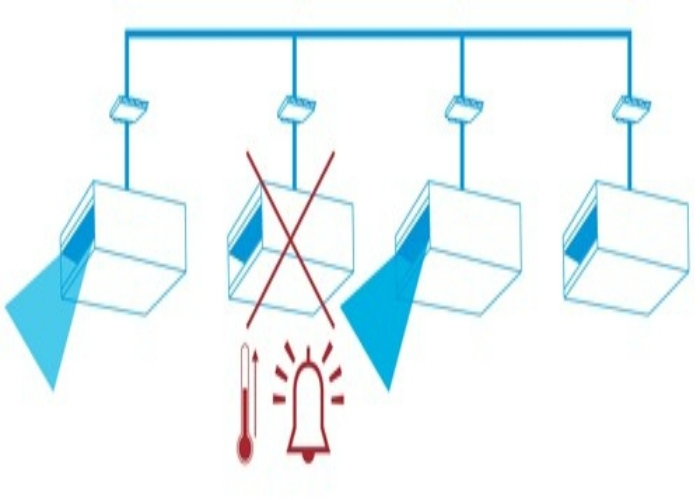 The free cooling mode reduces energy consumption by using cool outdoor air during the winter months. This allows refrigerant-based cooling compressors to shut off or operate at a significantly lower capacity, which as a result saves you money. 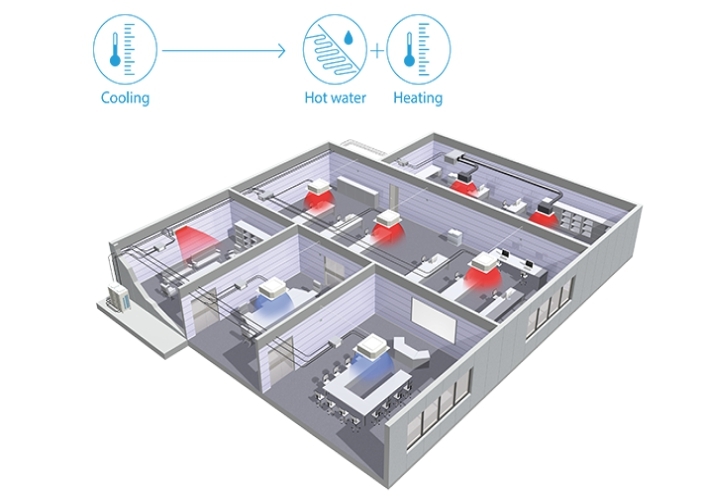 Unique heat recovery technology re-uses the heat generated during process cooling to provide comfort heating or hot water to offices, bathrooms and other parts of your building. Duty rotation comes standard with our Sky Air remote control. After set periods of time, the operating unit goes into standby mode, and the unit currently in standby takes over. This feature maximises the lifetime of each system, while increasing efficiency.